The 92FS is a double/single-action semiauto pistol that employs an open-slide, short-recoil delayed .. The addition of the new APX semiautomatic pistol completes the full size pistol portfolio and makes .. 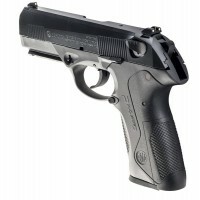 The NATO-certified Beretta Px4 Storm double/single-action semiauto is the culmination Beretta’s expe.. 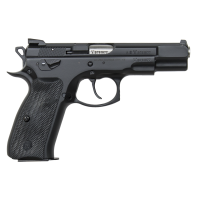 The CZ 75 B (Omega) features a simpler, more robust version of the 75’s trigger system. The interloc.. 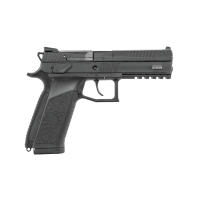 The CZ 75 SP-01 is the first full size handgun (4.6” bbl) from CZ to feature the improved manufactur.. Introduced in 2009, the CZ P-07 was the first handgun to feature the convertible Omega trigger syste.. The P-09 is our full-size polymer offering, boasting an impressive 19+1 capacity in its flush-fittin.. In recent years, the SP-01 Shadow has taken the competition circuit by storm. In USPSA Production Di.. The GLOCK 17 Gen4, in 9x19, introduces revolutionary design changes to the world's most popular pist.. The GLOCK 17 Gen5 is the latest example of GLOCK's constant pursuit of perfection. The latest versio.. The GLOCK 19 Gen4, in 9x19, introduces revolutionary design changes to the pistol that has found wor.. The GLOCK 19 Gen5 showcases the latest technology and engineering that drives GLOCK's constant pursu..
GLOCK's first ever "Crossover" pistol, the GLOCK 19X, combines the best features of two of its most .. The GLOCK 22 Gen4, in .40, introduces revolutionary design changes to this model of perfection that .. The GLOCK 23 Gen4, in .40, introduces revolutionary design changes to the pistol that combines compa.. The GLOCK 26 Gen4, in 9x19, introduces revolutionary design changes to the "BABY GLOCK"-the most sou..